Are you planning on attending TechEd 2009 this May? Do you want to maximize your time in L.A. and get some professional Telerik Training? Then you don't want to miss the upcoming Telerik Training Summit! Created and hosted by the experts in Telerik training at Falafel Software, the Telerik Training Summit is going to be a 3-day, instructor-led training covering the RadControls for ASP.NET AJAX. This is the best way to maximize your learning of the Telerik tools for ASP.NET AJAX in 2009. The Summit will be held May 8th - 10th in Los Angeles (TechEd starts on the 11th) and- if you register by tomorrow- it's only $999. That's 24 hours of training + meals (breakfast/lunch) + facetime with one of the industry's leading trainers (Lino Tadros, MSFT MVP & Falafel CEO) for $999. And if you need even more incentive, Falafel has also arranged a $400 discount for TechEd if you register for the Telerik Training Summit! Space is limited and demand is high, so talk to your boss, convince him/her that this training can't be missed and that you must be at TechEd this year (where we'll probably get another Windows 7 build and maybe even more .NET 4 details), and then register for the Summit now. 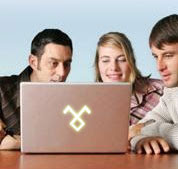 Hot on the heels of MIX is yet another opportunity for you to interact with Telerik "in the wild." This week most of the Telerik Evangelism crew (sans yours truly) is in Orlando for Spring DevConnections 2009. Telerik is in full-force at DevConnections this Spring with a full booth setup and plenty of t-shirts and prizes to give away to those of you that stop by. We're set-up in booth space 101, so feel free to stop by and check-out some of the new stuff just released in Q1. Further, you've got an opportunity to win a full Telerik Subscription License and learn about Telerik's WPF controls by attending a session tonight titled "Building Business Applications with WPF, Silverlight, and the Telerik RadControls." Telerik Evangelist and Microsoft MVP John Kellar will show you how to get started using the Telerik XAML controls and some of the cool features in these related suites. And this is a developer session- not a marketing session- so come ready to learn (and hopefully ready to win the grand prize)! Enjoy the fun in Orlando and stay tuned for some wrap-up comments later this week. There you go! Day one in re-cap. Clearly there are a ton more details not listed here, but hopefully this is enough to get you started. If I missed something major, let me know and I’ll update the post with more details. Stay tuned for Day Two coverage. It's that time again. Time for another fun MIX live blog! Like last year, the music is already blaring- not Johnny Cash, though...this year we're going all hip with a DJ mixing-up the tracks- the lights are spinning, and people are streaming-in and taking their seats. I'm already locked and loaded, ready to bring you as much coverage as I can. So grab some coffee, get comfortable in your cube, and then get ready to give your F5 key a workout. We'll get things started soon! 8:41 AM: DJ tunes still going. DJ welcomed the audience and forgot what time and day it is today- clearly not a morning person. All tweets with #mix09 are streaming across one of the huge screens, too. Here's your chance to be part of the fun... 8:54 AM: Music, music, music...people are still pouring-in, but room is definitely getting full. Things should get started in about 5 minutes. In the meantime, bookmark http://visitmix.com/2009 to find all videos from MIX. 9:01 AM: No action yet. Looks like things will be starting a little late this morning. 9:03 AM: Here we go! Lights down. Bill Buxton, MSFT Research, taking the stage. 9:07 AM: Bill is giving us a history lesson now. Showing us great designers through history (such as Walter Teague from Kodak in 1926). Showing us guys that started companies around the time of the Great Depression. His key “one liner” is: Return on Experience. 9:19 AM: “What do Canada and transitions have in common? They’re both dominated by the states!” If you didn’t guess from Bill’s joke, we’re talking about diagramming state transitions now. 9:22 AM: Ah! Finally some Microsoft news. Bill is finally going to share some details about how MSFT is addressing this idea of supporting UX design. 9:24 AM: Bill just threw in the towel for the Zune. “It’s not about the device. It’s about the software.” Clearly MSFT is shifting back to the idea of the “platform” vs. the device. No “official” news, though, just a clear directional statement from Bill. 9:28 AM: Bill has really spent 30 minutes talking nothing about MSFT. Leaving the stage now. A quick video and then ScottGu takes the stage. Very funny video! Hopefully this will be online soon. 9:31 AM: Scott is on stage and it’s finally time to talk tools! He’s going to cover three categories: Standards-based web, RIA, and something else. First-up, talk about standards-based web tools and tech. 9:32 AM: Expression Web 3. Exciting new feature is called “SuperPreview.” Supposed to help you design CSS that works cross-browser. Erik Saltwell, GPM from MSFT, on stage to demo the new feature. 9:33 AM: Erik is using Expression Web. SuperPreview makes it possible to basically use any browser rendering engine in Web (even side-by-side and overlay modes). Enables you to quickly compare a page in different browsers to look for visual discrepancies. SuperPreview can use cloud services to provide browser renderings even if you don’t have the browser installed on your PC! That includes previews from Safari on a Mac on your PC. 9:37 AM: Very cool demo. You can now actually test IE6/7/8 on the same machine without VMs. They’re going to make a standalone version of SuperPreview available for FREE today. Download the beta and check it out! 9:38 AM: Back to Scott. Now talking ASP.NET MVC. 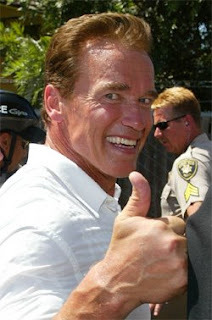 9:39 AM: As expected, just announced ASP.NET MVC is shipping in v1 today. Now on to talking ASPNET v4 and VS2010. 9:40 AM: First ASPNET. Talking about what’s coming new in ASPNET 4 timeline. More control over ViewState, an update release for MVC, new AJAX features (client-side templates), and distributed caching (a.k.a. Velocity). 9:43 AM: Shipping 8 new extensions for IIS7 this week, including tools for publishing to IIS from VS, new secure FTP tool, new WebDAV tools, etc. No details, though. Scott’s already moving on to talk about the MSFT Web Platform Installer (the unified installer for MSFT products). Version 2 ships today. Available at Microsoft.com/Web. 9:48 AM: Cool thing is that the installer does allow you to directly install apps- “An App Store for the Web Server.” Install things like DNN or WordPress. Web PI will handle installing all dependencies- including PHP if necessary. 9:50 AM: Anybody can get their app listed in the App Gallery (and thus the Web PI). Criteria online. You host the code- Gallery just points to it. You tell Gallery the dependencies, though, and it handles providing those. 9:51 AM: Announcing Commerce Server 2009. And that’s it. One slide. Now on to Azure. 9:52 AM: Azure Announcements:Supporting PHP/FastCGI, Support .NET Full Trust, Supporting relational databases (via SQL Data Services), New .NET services you can use in Azure apps. Commercial release later this year. 9:53 AM: Scott’s now moved-on to talk about BizSpark (the free software program for start-ups launched last year). I think his time is running-out ‘cuz he’s moving quickly. Wrapping-up by brining on-stage Jeff Attword and Joel Spolsky to talk about Stackoverflow.com. 9:56 AM: Jeff and Joel are just giving an overview of SO, the process for building it, the current traffic they’re serving (it’s all running on 2 servers), etc. Sorta a plug for MVC, too. Just a site overview. Annnd, now the plug for BizSpark. 10:01 AM: Jeff and Joel are wrapping-up the infomercial and Gu is back on stage to talk Silverlight. 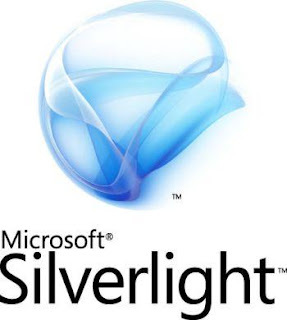 10:02 AM: Silverlight 3. Today MSFT is releasing new versions of World Wide Telescope and a new Virtual Earth SDK. Highlighting the “10,000s” of apps world wide built using Silverlight. Inviting Kevin McEntee, VP Web Engineering, from Netflix on stage to talk about Netflix’s success with Silverlight. 10:05 AM: Talking about why Netflix picked Silverlight. Wanted to support Macs. Wanted to support FireFox. Wanted to remove installer experience. Wanted a single player for all users. Highlighting SL features Netflix uses: adaptive streaming support, built-in DRM, etc. 10:10 AM: Netflix is eager to use new GPU support for scaling and stretching video in Silverlight 3. “Netflix loves Silverlight.” Quick demo of the player and now Scott is back. 10:13 AM: Silverlight 3 media Announcements: GPU hardware acceleration, Codec support for H.264, AAC, and MPEG-4, Raw bitstream Audio/Video API (build your own codecs), and improved logging support for media analytics. New product: IIS Media Services. Free. Designed to help you deliver the highest possible quality video at lowest TCO. 10:16 AM: Scott is now demoing the new IIS Media Services and Expression Encoder. Very cool production workflow for video. Smooth streaming and adaptive bit-rates are very impressive. Support for live video now also includes “Tivo-like” abilities to pause, seek back, etc. 10:21 AM: Scott is now inviting Perkins Miller, Sr. VP Digital Media at NBC Sports, on stage to talk about the NBC experience using Silverlight to broadcast the Olympics. Announcing renewal of Silverlight platform for 2010 Vancouver Winter Olympics- will be broadcast in full HD (720p) with Tivo-like features. 10:27 AM: Scott’s back. Done with media. Now time to talk RIAs. 10:28 AM: Silverlight 3 RIA Announcements; GPU acceleration, perspective 3D, bitmap & pixel API, Pixel shader effects, Deep Zoom improvements. Time for demos. Scott is showing “gratuitous” effects demo with Silverlight. 10:30 AM: App Dev with SL3: Deep linking, navigation, SEO will be addressed (support all major search engines), Improved text quality (ClearType), multi-touch support, 100+ controls available, library caching support (supposedly for any DLL). 10:33 AM: Demo time. David Anthony, Co-Founder Bondi, and Scott Stanfield, CEO Vertigo, on stage to demo some Silverlight 3 features in a new app built for Bondi (who is in the business of making back issues of magazines available). 10:37 AM: This demo is the new “Hard Rock” demo for Silverlight. It’s a more functional Deep Zoom powered Silverlight demo. Not sure if it will be publically available. Definitely cool for showing-off more media/SL3 capabilities. Looks like covertocover.com will be the spot to find this. 10:41 AM: Blend 3 Announcements: SketchFlow, Adobe Photoshop/Illustrator import, Behaviors, Designing with data, Source code control, XAML,C#, and VB code intellisense (finally!). 10:43 AM: Jon Harris from MSFT is on stage to demo new features in Blend 3. Starting with SketchFlow. Enables you to build “flow of an application” in Blend. Enables you to add “Wiggly Controls” to page (very prototype looking). 10:47 AM: A SketchFlow player enables you to share your prototypes with clients. Free player- doesn’t require Blend. Makes it easy to build a prototype in Blend and then share (with animated transitions). Easy feedback, too. Users can directly annotate on screens and then send feedback to Blend user who can load and view feedback. 10:50 AM: People LOVE the new ability in Blend to export a SketchFlow to Word Document (for quick documentation of application design). Loudest applause so far. 10:51 AM: Showing Behaviors in Blend 3. Enables you to add action to controls without writing any code. Next, showing direct support for importing Photoshop and Illustrator files. Enables you to import specific layers, merge layers, etc. Layers remain editable in Blend. Showing live data binding abilities in Blend 3 designer. 10:58 AM: Wrapping-up the SketchFlow/Expression Blend 3 demo. His one-liner: “Expression Blend 3: From concept to completion.” Scott is back on stage. 10:59 AM: Data Improvements in SL3: Data-binding improvements, validation error templates, server data push improvements, binary XML networking support, Multi-Tier REST data support (aka RIA Services aka Alexandria). Demo time. 11:01 AM: Scott is demoing data features in SL3. Using Entity Framework for DAL. Creating DomainServices class in server project (auto-syncs with SL project). Running demo- BUILD ERROR! :) Quick recovery though and everybody a good laugh. Showing grouping in new default SL DataGrid, Binding via proxy object, etc. See older Alexandria demos to understand what’s being demoed today. 11:06 AM: Demo’s done. New announcement: SAP NetWeaver Silverlight support coming this year. 11:07 AM: Silverlight running outside the browser! SL3 includes native Fit Client support. Can run SL3 apps out of browser on Windows and Mac. Safe, secure, sandboxed environment. Built-in auto update support. Build offline-aware apps (detect if network is available). Integrate with underlying OS (hardware acceleration, multi-touch, etc.). 11:10 AM: Demo of SL3 out of browser. Tom Mara from KEXP (90.3 FM Seattle) is on stage to talk about how KEXP used SL3 to build a KEXP player. The SL3 out of browser install has a single install prompt- allows user to tell installer to add Desktop and/or Start Menu short cuts. 11:15 AM: SL3 runs in a standard Windows window shell (or Mac window shell on OSX). Apps look the same on Win and Mac. Apps fire event when network connectivity lost so you can handle changes to connectivity. Runs completely out of browser process, but does operate in browser security sandbox. 11:18 AM: Demo is done. Scott’s back to wrap-up SL3 talk. Going to tell us how all of the new features in SL3 impact its download size. New SL3 download size: 40KB smaller than SL2! 11:20 AM: SL3 schedule. SL3 beta available today. Expression Blend 3, SL3 tools for VS 20008, IIS Media Services all available today, too. 11:21 AM: And that’s it! Scott has left the stage and it’s now on to the breakout sessions. Hope you enjoyed the live coverage. Watch for more as the week goes on. 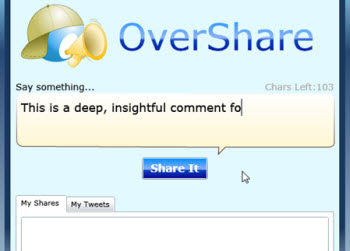 First and foremost, everyone expects this to be the Silverlight 3.0 conference. 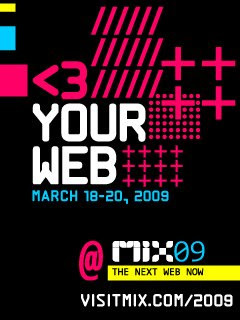 Last year was the Silverlight 2.0 conference, so it only makes sense that MIX09 will be the follow-up performance. And when it comes to SL3, everyone seems to think H.264 support + improved LOB support will be the main focus. 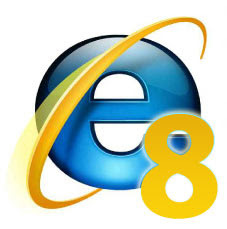 There is also some chatter that MIX09 will bring the official release of IE8. It's been sitting in Beta 2 for quite some time now, so MIX seems as good a place as any to finally release it. Finally, there is a bit of hope that MIX09 will bring more details about the plans for Azure. Microsoft introduced Azure in last year's OzzNote, so maybe he'll have an update this year. As usual, I will try to bring you LIVE keynote coverage on Telerik Watch, so if you can't tune-in to the MIX video, keep your browsers locked here with finger over F5. I'll do my best bring you the hottest news from MIX in near real-time. Finally, if you're going to be at MIX09, too, we'd love to meet-up! Just drop me a line and we'll find a fun place in Vegas (are there any of those?) to meet and talk Telerik, Silverlight, and all things MIX. Stay tuned- much more MIX news to follow this week. Telecommuting: Is the grass really greener? 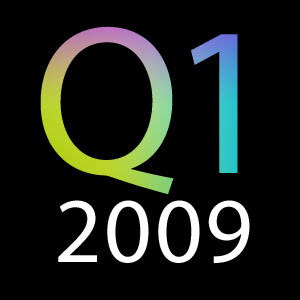 It's been a fun and exciting release week, and now all of the Q1 2009 release bits are available for immediate download on Telerik.com. That's 7 releases (8, if you count the new Telerik Visual Studio Extensions) all shipped to you this week, right on schedule! And did you see the news on the Telerik blogs? The "Downloads" section in your Client.net accounts has been revamped just in time for Q1 so that you no longer have to click through multiple screens and tabs just to download new bits. Go directly to your accounts and start downloading! All of the live, online demos have been updated, too! So for those of you just interested in "kicking the tires" before spending time downloading and installing, the demos are ready. Here are some quick links to get you started: RadControls for ASP.NET AJAX online demos RadControls for Silverlight online demos RadControls for WPF "online" demos (XBAP) RadControls for WinForms free trial Telerik Reporting online "demos" (rendered reports) Telerik OpenAccess ORM online demos Sitefinity CMS Demo Site (with demo Admin access) There is no online demo for the new Telerik WebUI Test Studio, so instead I'll encourage to watch the videos covering this new product on Telerik TV. Enjoy the release bits and don't miss the last Release Week webinar on Friday! Well, I'm "LIVE," but unfortunately I can't bring you live coverage of the event and it's keynotes (as I have at other events in the past). The "NDA-heavy" event does not leave much room for sharing, but rest assured that there are two Telerik Evangelists/Microsoft MVPs here to soak-up the info, chat-up the "big whigs," and make sure Telerik is well positioned to continue bringing you the best tools and components possible in 2009. For those unfamiliar, the MVP Summit is a chance for Microsoft to bring together all of it's MVPs (about 5,000 world wide, of which about 1,400 attend) and facilitate a few days of close interaction with the product teams and company leaders. It's one of the bigger "perks" of being a MS MVP, and I happy to get to check it out this year. In the mean time, Telerik Evangelism won't stand still! Kevin Babcock will be conducting this week's weekly webinar (Thursday, 11 AM EST) and he will be covering "Client-side Tips & Tricks for the RadControls for ASP.NET AJAX." Should be a fun topic for any ASP.NET AJAX devs out there looking to better understand how to leverage the Telerik client-side features to build high performance, rich, standards-based apps. Look for a registration link on Telerik.com soon! And if you want to keep-up with all the MVP Summit action that can be legally shared, catch all the updates (including mine- yes, I do occasionally "tweet") on Twitter!